When I first started my blog, I had NO idea what I was doing. And I mean NO IDEA. I didn’t take a class on blogging or taking photos, I just started it and ended up really loving everything about it. When the new year came a few weeks ago, my social media & blog inboxes were overflowing with questions from all of you. How do you start a blog? What camera do I use? Who takes your photos? I was use to answering these questions a couple of times a month, but in January, I had 17 messages in one day! I tried to respond to all of you (I really do try!) but decided in the long run that doing a blog post with my most frequently asked questions might be helpful to a lot of you! Now, let me preface this post by starting with this: I’m no expert here & there are millions of bloggers out there with beautiful, professional and amazing blogs. (I’m not even close to being one of them!) I’ve only been blogging for one year now so really I’m still a blog newbie, but for those of you thinking about starting a blog, some of these questions might be of help to you, so here you go! Who Takes Your Blog Photos For You? I’m very lucky to have such supportive people in my life to help me. I tell them all the time that I couldn’t do it without them! I take all of my other photos such as my flatlays photos or my travel photos myself. For example, the picture at the top of this post…I took that with one hand, kneeling on a chair and with my iphone. Whatever works! I currently use a Nikon D60 for all of my blog photos and outfit shoots. For all other photos, I use my iPhone 6s. Yes, you can take some absolutely amazing images on your iPhone. My Nikon D60 is almost 10 years old so I will probably be investing in another camera soon. I’ve heard great things about some Cannon cameras so I’ll have to do my research. I try my best to blog at least twice a week. 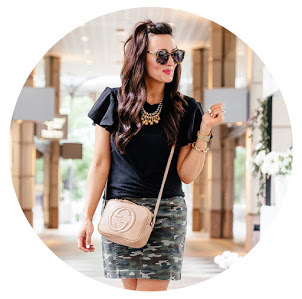 A “real” blogger will blog almost everyday….I still have a full time job as a nurse AND a side business with Stella & Dot so blogging everyday or 5 times a week is unrealistic for me at this time. Do I wish it was realistic? HECK YES. It’s fun, exciting and I’m doing what I absolutely love. Styling clothes, playing with beauty products and traveling. It doesn’t get better than that! All I can say is, I’m proud of where this blog is headed and I’m excited to see what happens in 2017! I edit all of my blog photos on Photobucket – manually editing the brightness, contrast and sharpness of each picture. I also manually edit all of my Instagram photos on Instagram itself. I rarely use an Instagram filter but instead play with the warmth, brightness and contrast in the manual editing bar on Instagram. How Do You Get Collaborations With People? Honestly, this is something that comes with time. Never in my wildest dreams did I think I would be able to work with YSL, Maybelline, L’oreal, Goodnight Macaroon and some other amazing companies. AND TRUST ME, these collaborations are nothing in the grand scheme of things, but to me for just starting out, they are a BIG deal. First off, putting my email address in my Instagram bio was a great idea. Then if companies come across your profile, they can email you directly and plan collaborations with you. Second, don’t be afraid to email a company and ask them if they would want to work with you. I do it all the time and I’ve honestly probably been denied more times than I can count, but the few companies that do say “yes” are so rewarding! Also, make sure your profile is not private. If you want to get recognized by other brands, your posts & profile needs to be public! How Do You Get Your Pictures So Bright? First and foremost, CLEAN YOUR LENS. I know it sounds simple, but it’s hard to remember at times. Before I take a picture on my phone, I take the cameral lens and wipe it clean on my shirt or sweater…this will tremendously help you take clearer pictures. I try to always use a plain white or light background. I stay away from yellow tones and when editing my photos, I use the brightness application to it’s fullest. White is your friend. White is fresh, clean and crisp which in turn makes your photos appear the same way. I ALWAYS use natural light and I try to take most of my photos between 10am -1pm. There are those times when I can’t get around to it until around 4pm so I usually stand next to a window, turn off all the lights and snap away. It’s honestly easier to brighten up a dark image than to work with an image that is too bright. Also after brighting my photo to the fullest, I add a little sharpness. I’ve played around with other editing apps such as Facetune, VSCO & Snapseed with can be helpful for certain things, but I always find it easier to just edit manually with Instagram. Before and After – photo taken through the Instagram app, brightened to the fullest with added contrast and sharpness. Setup is right next to a big window on the right hand side. Same setup as the pictures above but I had a light on in the hallway. Notice the difference that one un-natural light can make. Brings out the yellow tones. I took the image on the right and decreased the warmth on it to make it not so yellow through Instagram. Lesson learned, turn off the hallway light next time and just use natural light. Be yourself. Start your blog because it makes you happy. Be patient. Don’t listen to the haters. During my first month of blogging I think I received about 500 views in the WHOLE month. I could have easily let that get me down, but I wasn’t doing it for the views, I was doing it for fun. If you would have told me then that 12 months later I would be getting 5,000-7,000 views a month, (which is still nothing in the grand scheme of things), I would have laughed in your face. Patience, consistency and authenticity. Three traits I’m always striving towards when creating this blog! Did You Hire Someone To Start Your Blog? This was something I thought about a couple of times because like I said, I had no idea what I was doing or even where to start. In the long run, I downloaded a blog template for $15.00 from Kay Luxe Designs on Etsy, sat down one day and figured it out. Kay Luxe Designs was really good about giving you page by page instructions about how to set things up so it worked out well for me. Now, this doesn’t mean that I didn’t asked other people for help. My cousin Natalie from Taste Lovely & my sweet friend Lauren from Lauren Loves did help encourage me and help me when I had a few questions come about! When I first started, I would say about 5-10 hours or so. Now it’s probably creeped up to about 15-20 hours a week. It takes time, patience and I’m a total perfectionist so that doesn’t help! How Did You Get All Your Instagram Followers? This is by far one of my most asked questions so I thought I would add it into this post. This is always an interesting topic because I’ve had people message me saying they wanted a bigger Instagram following and were considering paying for likes & followers to get there. You might think that’s the easy way, but it hurts you in the long run. Fake followers will not support your small business and MANY companies can tell who has purchased followers or likes based on spam comments. Liketoknow.it can tell who has real followers and who doesn’t, and so can other brands, which in turn won’t get you the exposure you want. To be honest, it took me a LONG time to get my followers to where I’m at now. I’ve worked and collaborated with other bloggers in the past that has gotten me some exposure, but my biggest help? My pictures being reposted by bigger companies. I’ve been reposted by Larsson & Jennings, Goodnight Macaroon, Stella & Dot, Jillian Harris, One Hope Wine, Skechers, you get the point. Companies want pretty pictures. So if you create them, your pictures are much more likely to get reposted, gaining you some great exposure. I also always make sure to try and respond to everyone’s comments and questions so engaging with your audience really helps as well. Just be patient, keep producing beautiful pictures and be authentic! Alright! Those are the top questions that I’ve been getting recently! If anything, what do you have to lose with starting a blog!? You just never know what’s going to come of it, the people you are going to meet or the fun perks you might stumble upon! Did I miss an important question? Leave me a comment and I’ll make sure to add it into this post! Thanks for reading and thank you to every single person who thought I was a cool enough blogger to ask me your questions. I’m flattered, excited and humbled that you picked me! I'm exited to see what 2017 has in store for you and this blog too! Proud of you sis! This is great! I know I was one of those messages in the past. This is so helpful!!! Thank you so much! Glad I could help! 🙂 Thanks for reading! I love the content on your Instagram feed, and I love that you're a S & D Stylist! I'm a KEEP Collective Designer and a photographer as well. KEEP is really my full time gig, but I love designing shots and coming up with ideas for my Instagram feed, and have often wondered where I could go from there. The thought of a blog both excites me and intimidates me like you mentioned. These are great tips! Thank you for your inspiration! Perhaps I will play with the idea of a blog more! Thanks for posting this…. I'm in the process of trying to get my blog off and running but not so great with the technology aspect. Do you recommend WordPress or Blogger for new bloggers that don't really know what they're doing and need a lot of help? LolP.S. I love Stella and Dot! THANK YOU for this post! I think it's so cool how supportive the world of creative women can be – you rock. Thank you for this post! What software or app do you use to create a digital flatlay. For example, putting images together for a gift guide? Great post! What software or app do you use to create a digital flatlay? For example, putting multiple images together for a gift guide?